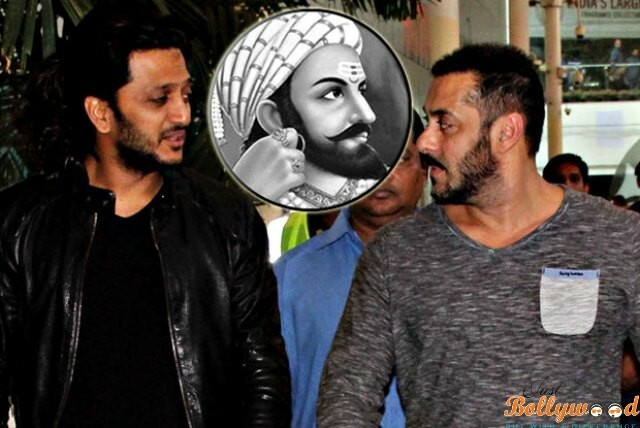 As per the recent buzz, Salman Khan has given his consent in the biopic of Chhatrapati Shivaji Maharaj made by Riteish Deshmukh in Marathi. The film is directed by the talented M Town filmmaker called Ravi Jadhav, while he announced that Salman Khan would have an important character in the film, which will be very much intriguing. Talking about the same, the Banjo director said that the biopic is still in the scripting mode and the team is really working hard to shape the character of Salman which would be an exclusive one. And if you check the details about the character of Salman Khan it is nothing but a cameo one. It will be a tangible character in the biopic, while Riteish Deshmukh is playing the titular role in the film and it would hit the floors over the December this year. Well, you better keep on checking more details about the same.